Our firm handles all matters dealing family law. Whether it be divorce, post divorce issues, contempt, custody, change of custody, child support or juvenile, at the Law Offices of Turner and Phillips we are here to help fight for you. Even the most amicable divorce is difficult. The Attorney’s at the Law Offices of Turner and Phillips are experienced in handling even the most difficult of situations. Custody, child support, alimony, property division and retirement rights are all important issues in divorces cases. Let us assist you in this difficult process. The Law Offices of Turner and Phillips handles all types of juvenile cases, including juveniles charged with criminal offenses, as well as parents dealing with children being removed from their home. Our Attorney’s have significant trial experience in both areas. Call the Law Offices of Turner and Phillips in Clarksville TN for all of your juvenile needs. Parents of children born out of wedlock have rights too. Child support, shared parenting and residential time should be available to both parents. Contact the Law Offices of Turner and Phillips in Clarksville, TN today to inquire about your parental rights. Our Attorney’s at the Law Offices of Turner and Phillips has extensive experience in every and all types of criminal cases both at the General Sessions level and the Criminal Circuit Court level. If you have been charged with a crime, call us and we will fight for your rights. If you have been arrested for driving under the influence in the Clarksville TN area, call the Law Offices of Turner and Phillips. We have experience in both the General Sessions and Circuit Court in dealing with driving related charges. We have a significant amount of experience in analyzing your case and insuring that your rights are protected. The Law Offices of Turner and Phillips has a tremendous amount of experience in criminal cases related to drug offense. We are knowledgeable in all of the aspects that law enforcement must prove before searching or seizing your person or property. If the law enforcement has seized your property, you are entitled to a hearing before an Administrative Law Judge to determine your rights to your property. Call the Law Offices of Turner and Phillips and we will be happy to protect your rights and your rights to your property. The charge of domestic assault is a very serious offense that has both state and federal consequence. The attorneys at the Law Offices of Turner and Phillips have years of experience dealing with these delicate issues. 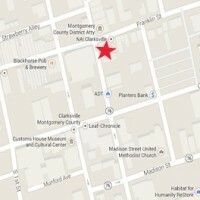 Call our office located in Clarksville, TN so we can help protect you and your rights. If you or a loved one have been injured in an automobile accident, the Law Offices of Turner and Phillips have years of experience in protecting the rights of injured people and in dealing with all major insurance companies. If you have been injured and have incurred medical expenses, lost wages and any other expenses, call the Law Offices of Turner and Phillips in Clarksville, TN to have your rights protected. If you or a person you know has been injured due to the negligence of another, let our experience go to work for you. Our firm and attorney’s are skilled in evaluating your medical documentation and properly assessing your claim. If you have been injured at work, you may be entitled to benefits under the workers compensation law for the state of Tennessee, as well as medical benefits, temporary disability benefits and permanent disability benefits. The Law Offices of Turner and Phillips has experience in dealing with employers and their insurance companies and insuring that your rights are protected. If your health issues prohibit you from being gainfully employed, you may be entitled to some form of social security benefits. The attorneys at the Law Offices of Turner and Phillips are experienced in the social security process and in obtaining disability benefits for their clients. If you feel you are unable to work due to a health related issue, contact the Law Offices of Turner and Phillips, in Clarksville, TN today. The Law Offices of Turner and Phillips is experienced in all types of civil litigation. Whether you have a creditor’s rights issue, a Tennessee Consumer Protection Claim or a contract issue, call the Law Offices of Turner and Phillips.